Jessica Rivera is the former monitoring and evaluation specialist and program coordinator at the Latino Education Institute at Worcester State University. Esperanza Donovan-Pendzic is the creator and host of the Spanish language television show Esperanza Y Su Éxito. Mary Jo Marion is executive director of the Latino Education Institute. The English Language Learner (ELL) Summer Camp in Worcester, Massachusetts – an intensive six-week program that served middle school and high school students from Worcester Public Schools (WPS) – was the product of a five-way partnership that included the school district, higher education institutions (Latino Education Institute [LEI] at Worcester State University and Quinsigamond Community College), and community organizations (African Community Education [ACE] and the Spanish-language television program Esperanza y Su Éxito). The ELL Summer Camp aimed to promote literacy skills, linguistic competence, and self-efficacy by integrating academics and community-based enrichment and, ultimately, to maximize students’ potential for high school graduation and their preparedness for college and career pathways. As the LEI program coordinator, I (Jessica Rivera) joined the team in the conceptualization stages of the program. In these initial meetings, all the community partners and WPS leadership discussed outreach and recruitment strategy, program structure, data-sharing protocol, and accountability. As the lead LEI program coordinator for the ELL Summer Camp program, I worked closely with all community partners in identifying strengths and areas best suited for each to contribute towards creating a quality program. During this planning stage, the ELL Summer Camp program greatly benefited from the honest and frank insights of each partner. As the partnership grew, it became evident how to best cultivate these strengths to recruit families, students, and community support. At LEI we believe our strength is in working with English language learners and connecting with Latino families, which is why we took the lead supporting the organizing of Family Academy recruitment sessions. ACE has expertise in working with the refugee community and youth of African descent. They did a great job of connecting with families in the community with whom they had a year-round relationship. Esperanza y Su Éxito has the technical skills needed to create a dynamic, enriching offering for ELL camp participants. During the recruitment stage, Esperanza y Su Éxito presented various social justice videos they had produced with youth to show families some of the opportunities their child was going to have in the summer camp. Since LEI and ACE both have more than ten years of experience in community building and support in Latino and African communities in Worcester, both organizations had culturally competent staff to work with the diverse population of ELL students. LEI also has a successful track record in implementing relevant enrichment programs in Worcester Public Schools. 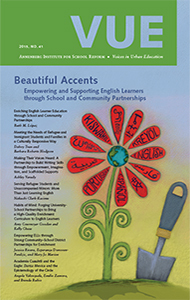 This expertise in curriculum development aided the collaboration with Quinsigamond Community College and ACE in the creation of the ELL Summer Camp enrichment curriculum. Furthermore, LEI’s incorporation in the Worcester State University campus provided collaborative partners access to world-class facilities ideal for instructional learning, equipped with projectors, round sound systems, smart boards, and other technology. Our partnership with the district brought about additional resources and expertise that we normally do not have in other areas of our programs, such as a full-time nurse, an adjustment counselor, and teaching expertise in the areas of language acquisition. These elements were all essential to the program’s success. Throughout the duration of the summer program, it became evident that the adjustment counselor was an invaluable asset in supporting our families and providing the emotional and psychological support for many of our students. The adjustment counselor aided students by conducting daily, scheduled, one-on-one check-in meetings with numerous students and by reaching out to parents to inform them of their child’s progress. This additional support proved effective in helping to establish a safe and positive environment for both our students and parents to succeed in the program. One of my favorite parts of the ELL Summer Camp program process was assisting in the development of the enrichment curriculum – My Voice, My Community, Our World. This three-module curriculum, each module running for two weeks, was designed to empower youth as they work together in applying academic knowledge and skills to address real community issues. The curriculum allowed for students to be the drivers of their own learning process and gave space for active engagement, critical thinking, reflection, and civic awareness while using key literacy elements to improve their English skills. Another key aspect of the curriculum focused on encouraging student interactions. During the beginning days of the program, many of the young people were shy; they were hesitant to participate in activities and unwilling to push their comfort zones to try new things. By the third week, students were more vocal and were able to fully express opinions and identify as a collective community issues they wanted to address. Students in the program began to learn to view themselves as assets in their community and agents of change. This process in turn increased students’ self-esteem, self-perception, and levels of civic engagement. This student empowerment was achievable by the safe space that staff was able to create throughout the six weeks; a nurturing approach was emphasized throughout the program. Staff made it a point to show youth they cared for them and respected youth voices, addressing any of their questions and concerns and encouraging them to share their life experience and points of view on sensitive issues. Staff demonstrated patience when young people were having a hard time grasping activity goals, created a judgment-free zone where bullying and teasing of any kind was not allowed, and celebrated each student’s efforts through words of encouragement and praise at the end of every workshop. Relationship building between staff and students was essential to the success of the program. By the end of the program students identified poverty, homelessness, and cultural diversity as the community issues they cared most about addressing. Their final community projects consisted of a food and clothes drive donated to local Worcester community organizations that serve homeless youth; educational posters placed in various community spaces; a student’s wall-sized mural representing the various cultures that made up the summer camp community; and three documentary videos screened at the end of the program during a Community Expo event. To me, community means everybody works together to help each other. This is why one day I would like to work as a doctor so I can give back to my community and help sick people get better. I try to help people by volunteering in the community in places people need help. And when people ask me why I do it even though I don’t get paid, I tell them that I do it because I like to help people. I have helped my community by working with my class on a homelessness project. We collected extra food and extra clothes to give to the poor. It feels good to help others. Youth homelessness is a problem. My friend goes to school and in the afternoon she is staying in a friend’s home. This is a problem in Worcester. We need to work together to help others in this situation and lend them a hand. These outcomes represent the power of youth. When youth are given a nurturing, supportive, and engaging environment, they can learn the value of self and be better equipped to contribute to the greater society. As the LEI program coordinator, my many responsibilities included ensuring clear and constant communication, coordinating students’ lunch, briefing everyone on emergency protocol for field trips, and other day-to-day logistics. I also provided a supportive structure for all staff who were new to our organizational culture. My leadership style with enrichment staff focused on mentoring and coaching. Our enrichment staff was composed of ten individuals from three different community organizations and was reflective of the ethnic and racial composition of our students. Each staff member had an array of experiences and expertise needed for the success of the program. One way of cultivating these strengths was through implementing a series of trainings with community partners prior to the start of camp that introduced staff to the program goals, objectives, curriculum design, and expected teaching culture of positive youth development. Furthermore, staff received training on cultural competencies, emergency protocol, stages of group development, facilitation skills, and classroom management. Throughout these sessions, staff were able to share areas they felt more comfortable in and areas in which they would need more support from the team. Once the program started, one strategy that was very effective and made the intensity of the summer program manageable was meeting with instructional enrichment staff once a week to review successes, challenges, weekly plans, and progress. These meetings were essential in maintaining leadership cohesion, uniformity of program goals, and a positive working culture. One very important outcome from staff trainings and ongoing check-ins was learning the value of staff autonomy. Though staff were highly encouraged to follow the curriculum design, they were also encouraged to implement activities they felt were more relevant and would better serve their specific group of students. Some staff chose to exercise their creative freedom and implement different sessions while still maintaining the focus and goals for the modules. This level of flexibility in respect to program sessions enabled staff to have more buy-in in the program process and created more passionate instructors. Some enrichment staff used poetry, music, video, painting, or photography as the medium to engage students in community projects and the exploration process. For example, one of our enrichment staff has a B.A. in English and really enjoyed poetry as the medium to introduce the daily goal. For the first fifteen minutes of workshop sessions, students read various poems and/or watched slam poetry videos. Students would have group discussion on deciphering the meaning of the poems and shared personal connections to the stories. During the planning stages of their community action project, students identified cultural awareness as the community issues they wanted to address. Some students decided to write “self-poems” on their identity to share with others. In addition, the group also put together an all-inclusive holiday calendar representative of all ELL Summer Camp participants’ family holidays and traditions. See the sidebar for a description of one workshop, run by Esperanza Donovan-Pendzic. These kinds of activities in turn allowed students to gain exposure to different art mediums as well as develop technical skills for self-expression that were not originally incorporated into the enrichment curriculum. I attribute much of the enrichment success to the passionate staff and the level of commitment in the curriculum design. The strength of our partnerships led to a successful ELL Summer Camp program that served more than fifty ELL students. Students were able to attend five field trips to educational and culturally relevant institutions such as the Worcester Historical Museum, Ellis Island, and the Statue of Liberty. These trips were made possible because all community partners agreed it was important to provide an opportunity for students to learn and experience different places that have greatly shaped the communities to which we all belong. These decisions were also influenced by the consciousness of our community partners. The majority of the students in the program come from low-income households and do not ordinarily have the opportunity to visit such places, so providing these opportunities was a very important goal for the leadership group. At the end of the program we had an ELL Summer Camp Expo Celebration, with approximately 175 people in attendance, including Worcester State University staff, community members, media representatives, and, most importantly, family and friends of our students. Students planned and organized the end of the Expo and Celebration program, where several students welcomed parents and explained their artwork to guests. Students shared their experiences and built community awareness on the issues they identified throughout the program cycle and introduced community projects during the celebratory dinner. This event truly marked and magnified the success of the program. The culminating speeches and presentations given by the students in front of such a large audience demonstrated the shift in confidence, both in language and self, that will help propel these students through high school and beyond. The changes I have noticed about me since the day I came here is that I am less shy with people and it is easier for me to spell things. I have made new friends and learn cool things about art. I have more friends and I have learned more English. The top four changes that parents identified in their child were: improved English, more communicative, happier, and more responsible. Parents commented that what they liked most about the ELL Summer Camp program were their child’s exposure to new places, child’s improved English, and the supportive staff who were always available if they had questions. This feedback is a testimony to the great work of this partnership and the positive relationship that program staff built with families, integral to increasing family engagement. Having a clear outline of partnership roles and responsibilities is essential in maintaining positive relationships and effective collaborations. Throughout the ELL Summer Camp program cycle, power dynamics and responsibilities between program coordinators began to shift, and roles became unclear. This made team dynamics difficult moving forward because some coordinators were taking on more responsibilities outside of their scope. Fortunately, this did not affect the students’ experience or classroom instruction. Strong leadership is necessary when working in this level of collaboration. As coordinators, it is our role to bring people together, create frameworks that highlight each other’s strengths, and provide supports in areas of improvement. Just as important, leaders should allow opportunities for partners to incorporate their passion and add value to the program. This requires a leader to be flexible to changes. It is also important to take time throughout the program to celebrate the process and the small successes. This ensures that student and staff morale stays high and commitment does not falter. The ELL Summer Camp program was a great success because of the passion and commitment of all the collaborative partners. All individuals were able to have a hand in shaping and molding the process, and in doing so, created an educational and enriching program that was better than any ELL program any of us could have done alone. The high level of success is attributable to the team’s ability to bring complementary levels of expertise and competencies that aided in providing a comprehensive program. When designing a program for ELL students, I recommend a program that creates platforms for students to exercise their creativity, civic awareness, critical thinking, reflection, and active engagement in the planning and implementation of the process. This type of framework builds students’ sense of self-efficacy and resiliency, which are soft skills needed for ELL students living and learning in a new country. What made the partnership work?